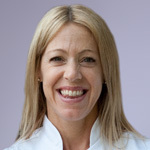 Maria qualified as an osteopath in 2004 with a distinction from the British School of Osteopathy. She was awarded several prizes over the four years for academic achievement, and was presented with the Silver Medal on graduating, for outstanding achievement throughout the osteopathic course. Alongside the undergraduate course, she was accepted on to a post-graduate one year course in Classical Osteopathy which she also completed in 2004. She went on to do an intensive short course at the British School of Osteopathy in Cranial Osteopathy which is a non-invasive technique that can be used to treat babies, or as part of a treatment plan for adults. Maria describes herself as a ‘generalist’ osteopath, that is to say she does not have a specialist area but welcomes patients from all ages from young children through to the elderly, and with a broad range of problems. Being a keen participator in sports herself, she is keen to support patients in being able to continue doing their chosen sport following injury. She is Level 2 fitness qualified and teaches Aqua aerobics and water therapy classes, and has most recently qualified as a Les Mills Body Balance Instructor. This has all helped to expand her knowledge of exercise physiology and appropriate stretches or exercises to give patients to help with their rehabilitation. 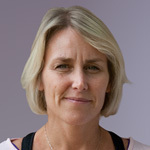 Louise qualified in sports massage therapy in 2000 and trained with the London School of Sports Massage. She achieved a credit and was the highest in her class for the practical assessment. She deals with all kinds of injuries from sports to everyday injuries, and welcomes the person needing a general massage and a stretch if preferred. Louise prides herself on getting any injury better and back to full health. However, if she us unable to assist with a particular problem she will refer you to a professional who can help. Louise has also been in the professional Fitness Industry teaching fitness classes for over 20 years. She has always been physically fit so understands the importance of getting back to a normal, healthy routine as soon as possible. Dwaine is a fully qualified and registered osteopath who graduated in 2007 from the Surrey Institute of Osteopathic Medicine. He is also registered with the General Osteopathic Council and a member of the British Osteopathic Association. 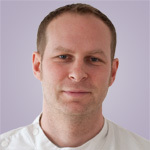 He considers himself a structural osteopath using a combination of soft-tissue, mobilisations and manipulations. Dwaine is also a generalist osteopath but does specialize in sports injury and rehabilitation. Other qualifications include a BSc (Hon) in Sport and Exercise Science gained in 2002 and he is currently studying for an MSc in Sport and Exercise Medicine. Dwaine provides other services including medical acupuncture, cranio-sacral therapy, sports strapping, Kinesio taping and sports injury rehabilitation. Dwaine has previously worked with professional footballers including with Milton Keynes Dons and Crawley Town providing spinal assessments and treatments. He currently works with Heathfield and Waldron rugby club providing injury assessment and rehabilitation, as well as match day first aid and injury assessment.